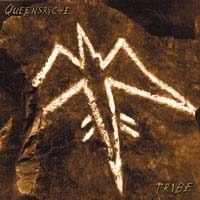 Tribe is the eighth studio album from progressive metal band Queensrÿche, released on 22 July 2003. It featured a reunited lineup, with Chris DeGarmo returning to contribute with guitar parts and writing credits on some tracks. Upon release of the disc Sanctuary Records misrepresented Chris Degarmo's involvement as a "reunion" with Queensrÿche, which some have considered to be a PR stunt to generate sales. Tribe was self-produced by Queensrÿche with Scott Olson engineering and Adam Kasper mixing the album. The album was not commercially successful generating only 75,000 soundscan units as of 2007. Songs such as "Open" and "Losing Myself" have been played on the satellite station, Ink'd.